We, Rosette Designs and Co, has just been interviewed by Wedding Bali, a one stop guide for couples planning to have their wedding in the beautiful island of Bali. Bali has become one of the most popular wedding destinations in the World and it’s not a surprise given the island’s exquisite beaches and serenity. 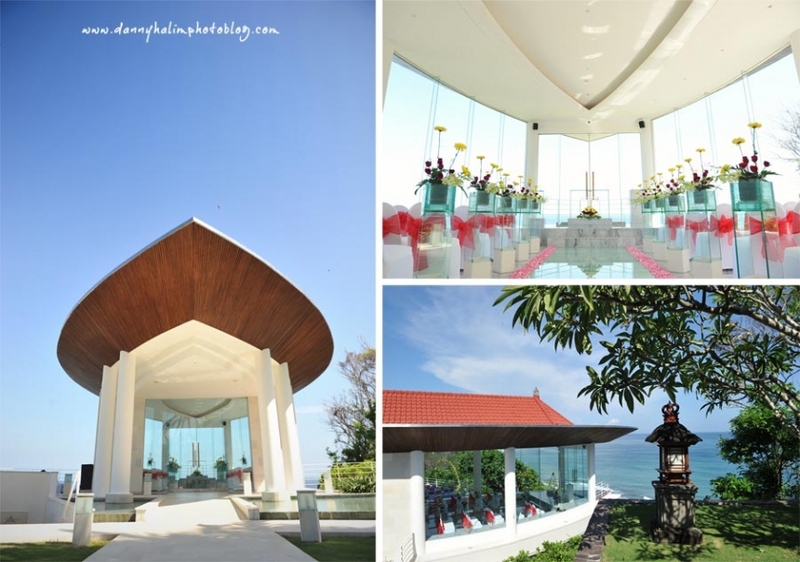 It’s the perfect place if you’re thinking of a place to have an intimate wedding set against a breathtaking sight. 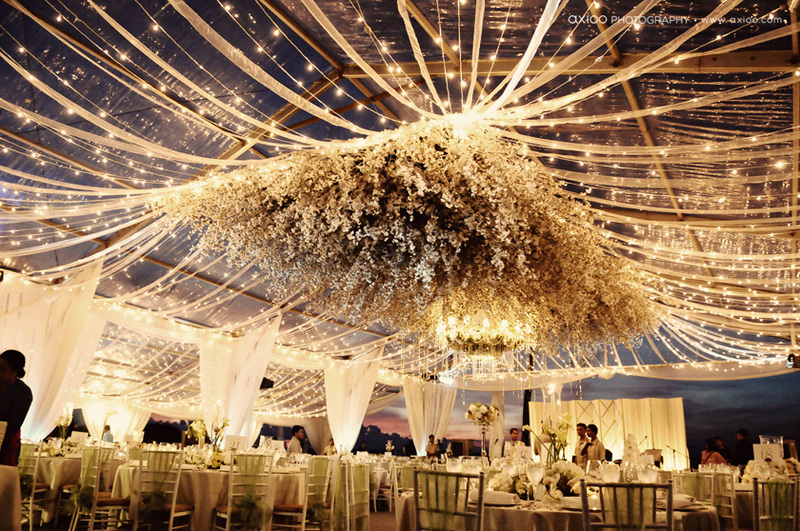 If you’re planning for a wedding in Bali, here is an article by Wedding Bali on the venues that you might want to consider. You can view this on their website too. Picture a large, expansive garden overlooking the sea. The seaview is unobstructed and breathtaking, the clear waters extending endlessly into the horizon. When dusk beckons, the skies become a fascinating sight, turning into a colourful palette containing shades of pink, purple, orange and blue. Many yearn to hold their weddings at one of the many villas located in Bali, as villas contain facilities such as private pools and lush, tropical gardens. In addition, villas provide a private and intimate setting for the couple to host their loved ones and wedding guests. Royal Santrian luxury beach villas. Photo by Ianphotography. Bluepoint Bay Villa & Spa. Photo by Ianphotography. 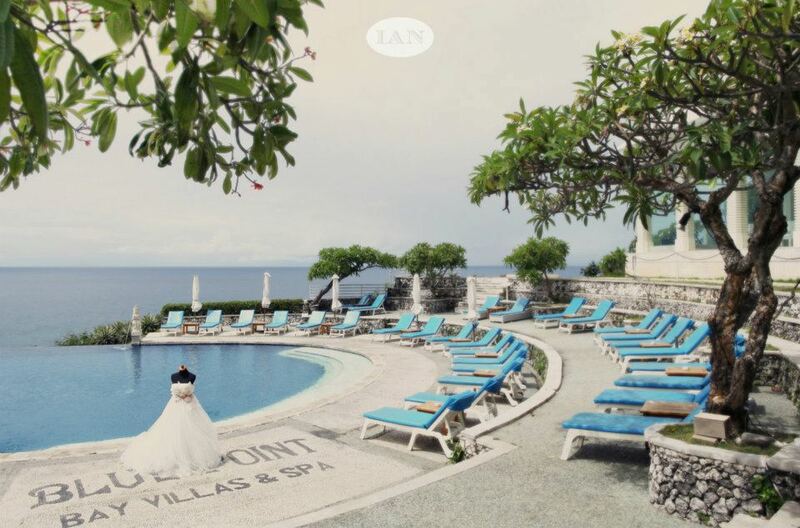 Apart from villas, hotel and resorts offer picturesque locations that are perfect for weddings. This is an ideal option for those who prize convenience, as you get to enjoy the ease of access to a variety of facilities, without having to worry about transporting the items that you need for your wedding from one place to another. In addition, it will be easier for you to arrange the accommodations for your family members and guests, as they can reside in the same hotel or resort that you are holding your wedding at throughout their stay in Bali. Ayana Resorts and Spa. Photo by Axioo Photography. Alila Uluwatu. Photo by Axioo Photography. 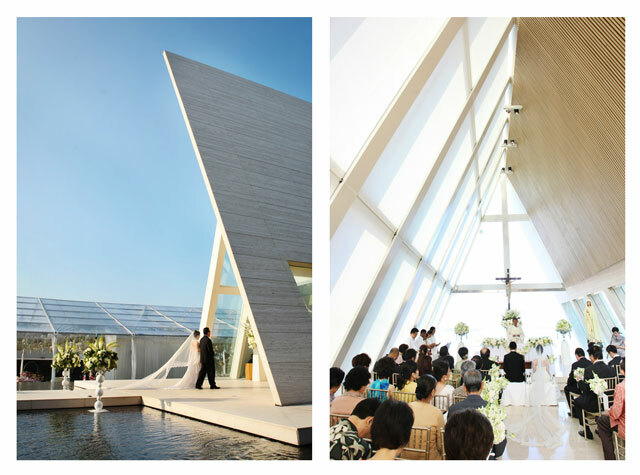 Are you looking for a suitable location to hold a religious wedding or blessing ceremony indoors, and yet, are not keen on abiding by the formal ceremonial processes usually conducted in churches? If you answered ‘yes’, then the chapel is an ideal location for you to host your wedding! The air­conditioned interiors of chapels provides you and your guests with welcome relief from the tropical warmth outdoors, and allows for wedding couples to don formal wedding attires, as they often have elaborate designs made of heavier, thicker fabrics. Not being able to hold your wedding in the splendid outdoors in Bali does not mean that you are compromising on the aesthetics! There are many chapels in Bali boasting eye­catching exteriors and asymmetrical lines. 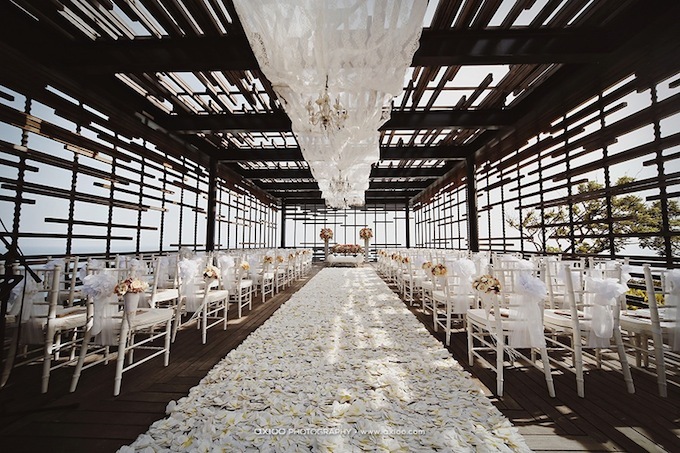 We can relate endlessly of chapels with pristine white interiors, charming indoor ponds, and clear, large window panes that allow you and your guests to enjoy the captivating seaview that Bali is famous for. Hotel Nikko. Photo by Danny Halim Photography. Iconic Infinity Chapel at Conrad. Photo by Axioo Photography. 4. Beaches: Enjoying the best of Bali’s beauty. Mention beach weddings, and the image of a white, sandy beach, clear, blue skies and an endless horizon of the turquoise sea is immediately conjured. 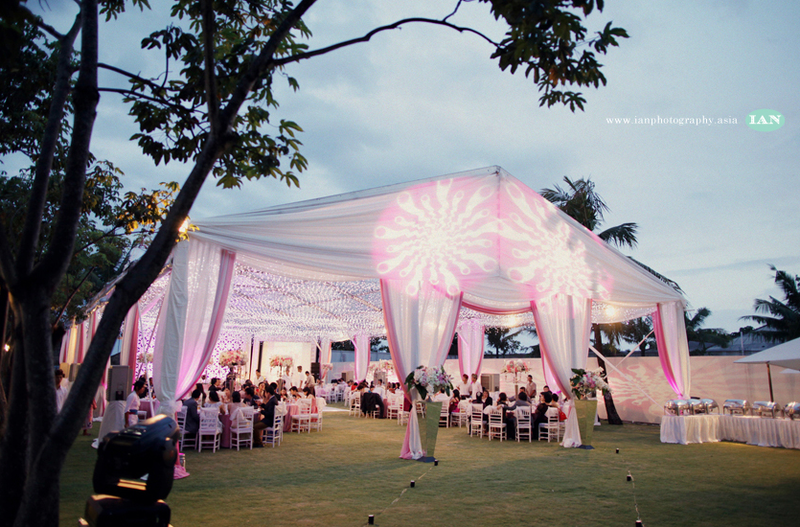 Who wouldn’t want to have a beautiful wedding on the tropical beaches of Bali? 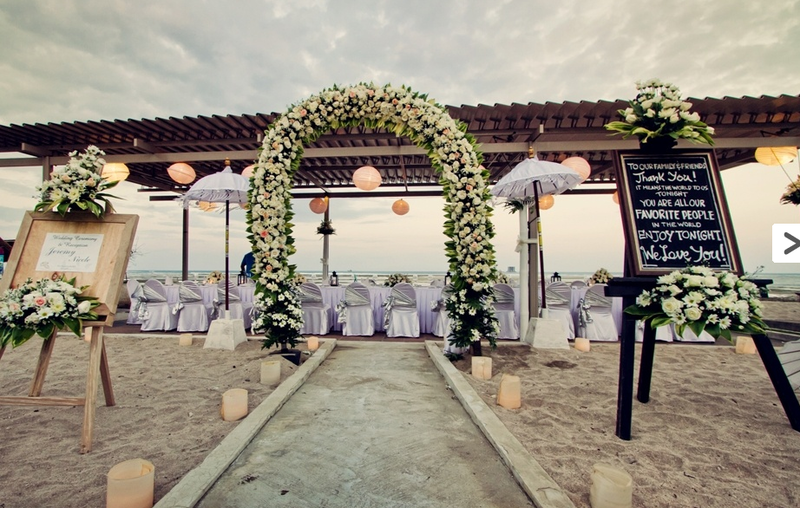 However, the reality of having a beach wedding may greatly differ, depending on the location of your choice. Under the law, beach fronts are considered to be public property, and no single individual or entity is entitled to owning any stretches along the beach. As such, even if you were to hold your wedding in the compounds of a hotel or resort, there is no guarantee that they can you will be ensured privacy during your wedding ceremony. If the notion of having a gorgeous wedding amidst the beautiful beaches in Bali is too much to resist, it is recommended that you organise a smaller­scale wedding, and make backup plans in case of of any unexpected weather changes.